We enable organizations developments through people development. We support and accelerate the organizational and people effort to enhance higher levels of competences in communication, management, leadership, selling skills and team culture. 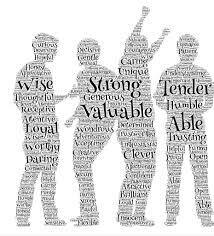 If people feels confident in their knowledge and skills they became more proactive, with great attitude and approach, reliable asset for clients, prospects, company, family and society. This is the infrastructure we help to build, the factories, highways and other infrastructure will be easier after. Identify needs and expected benefits, prioritize and clarify knowledge, skills and attitude to enhance. Build workshops and training sessions, complete them with projects, joint calls, coaching, lectures. Evaluate behavior changes and give constructive feedback, reports with development plans. You have a vision to implement. Some parts and today’s aspects need changes, realign, transform or innovate. managers will exercise how to plan, organize people’s activities, to manage human resources by recruit and select right skills, coordinate and conduct projects, control and evaluate results, lead and train people for group and individual performance. consultants will enhance consultative skills on Selling Processes, with professional interpersonal communication techniques, persuasive negotiation and superior client services approaches. both managers and consultants will develop coaching skills, to develop and manage personal qualities and professional competencies for their teams. We coach managers with Coaching in7 steps™method to provide performance for their teams. a team can build a system but a system can build a team? First things first, we accelerate the team performances by exercising five team pillars: interdependence, cohesion, open direct communication, team roles and team’s mission. Once reinforced, any vision is closer now. 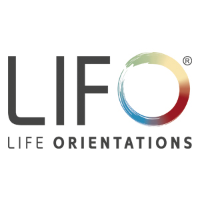 international top licenses: Life Orientations®, Human Synergistics®. mini-MBA programs with courses, mentoring and coaching sessions, on the job trainings, joint calls, so. 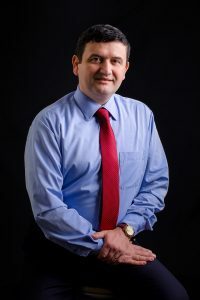 Energetic, professional and experienced trainer and consultant, with 16 years of career in the financial services industry: stock exchange market, insurance & banking – 1996-2005, both as manager and trainer, and total of 21 years’ experience in commodities and services selling, Radu has a relevant background in selling skills and management, including interpersonal communication, persuasive negotiations, team management and training, team diagnosis and development, organizational culture analysis and business coaching. His tailor made training programs and expertise are for high value sales systems, consultative and long term services in industries like: banking, communication, direct sales, showroom sales, constructions, industrial production, measurement technologies, automotive, pharmaceutical and medical services, tourism, IT&C, FMCG, life insurance. Trainer and manager for ING Romania: 2001-2005, Citibank Romania: 2005 and MENTOR Training: 2004 – now.